I suppose probably I should say more! Technically this is two events rolled into one. We treat your teams to a glass of Prosecco and double dipped strawberries as they arrive at one of our central London venues. Indulge the Chocoholics with the opportunity to create their very own Belgian chocolate truffles under the guidance of our expert Chocolatier. Then indulge the rest with a 3 hour masterclass on how to create delicious cocktails under the guidance of our expert Mixologist. If you don’t have time/don’t want to spend too much time the gym recovering, then both the Luxury Chocolate Making and the Cocktail Making events are also available as separately. Our Maori tribesmen will make a dramatic entrance to your event and perform the Haka to the delight of your guests. This traditional and ancient Maori Tribal dance works well as a spectacle, but have you ever considered taking part? This works well as a conference energiser, a team building activity, or purely to have some fun over the course of a dinner. So – don the Maori war paint (yes, we bring some of that too), and prepare to get LOUD! For those feeling a bit more active (and nostalgic – it’s been 35 years!) we have our Thriller event. 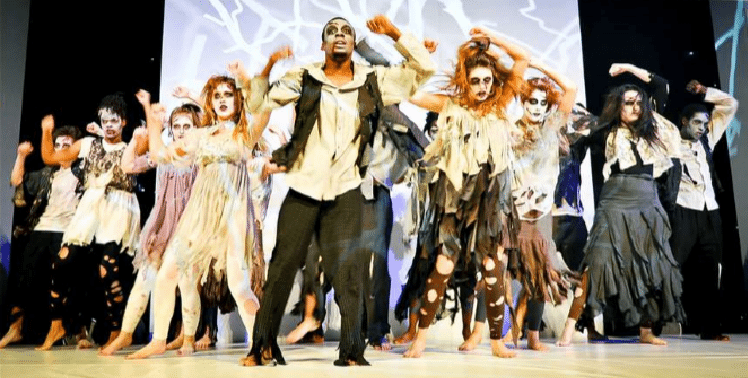 First our resident Pop Choreographer will take you through your zombie paces, next our creative Costume Designer/Make Up Artist will teach the group how to achieve the zombie look. It’s then on to your final performance, the question is: will it be spine-tinglingly good, or a true horror show? Either way, it’s guaranteed to be a hilarious event for you and your team. What is better than fighting robots? Controlling the fighting robots! 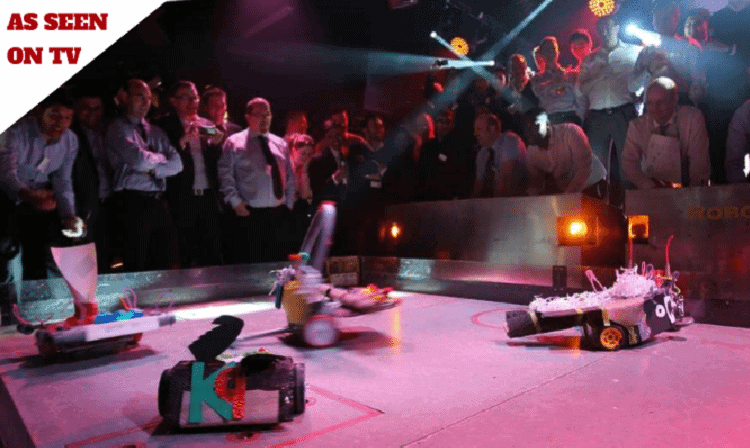 We bring the arena to you, along with the technical expertise of a BBC Robot Wars consultant and former UK Robot Wars Champion. Whether you wish to construct your robot to be better on the offence or defence is up to you, but only one will survive… ACTIVATE! Christmas is coming! 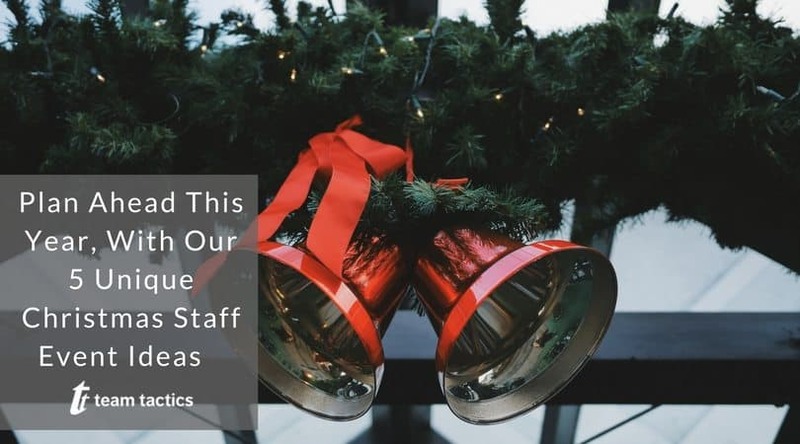 It would be remiss to not mention Christmas, we’ve been taking bookings for some time now. 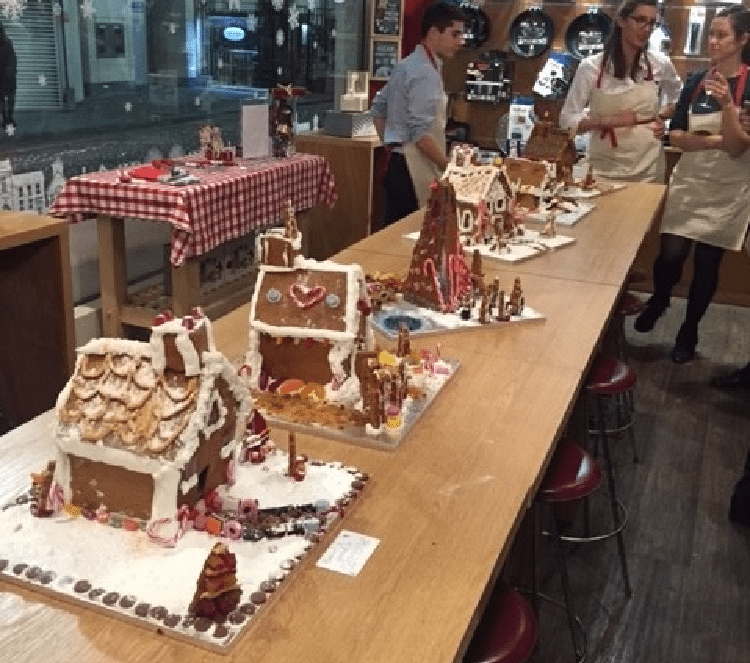 We have quite a few different cooking events, and special Christmas cooking events, but the appeal of a miniature Gingerbread house is just too much for me to resist mentioning. Guests must not only build a house that is professional in appearance, but is also delicious. Indulge your creative side before smashing your masterpiece to pieces and eating it – what’s not to love? !